Kaltura is an online software that lets you upload videos and audios to Moodle. This article will explain to you how to add slides and slide decks to Kaltura video. The steps below assumes that you have already uploaded a video to Kalura. 1. Go to Kaltura in the Moodle 3 and then select My Media. 2. Click on the Edit button. Note: Title of the video was omitted to prevent copyright issues. 3. Click the Timeline button. 4. 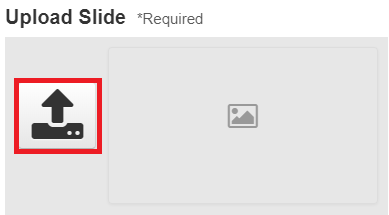 Click on to down arrow symbol at the specific time, when you want to upload slide decks or single slides. 5. After you select Upload Single Slide or Upload Full deck option, click the upload slide button.